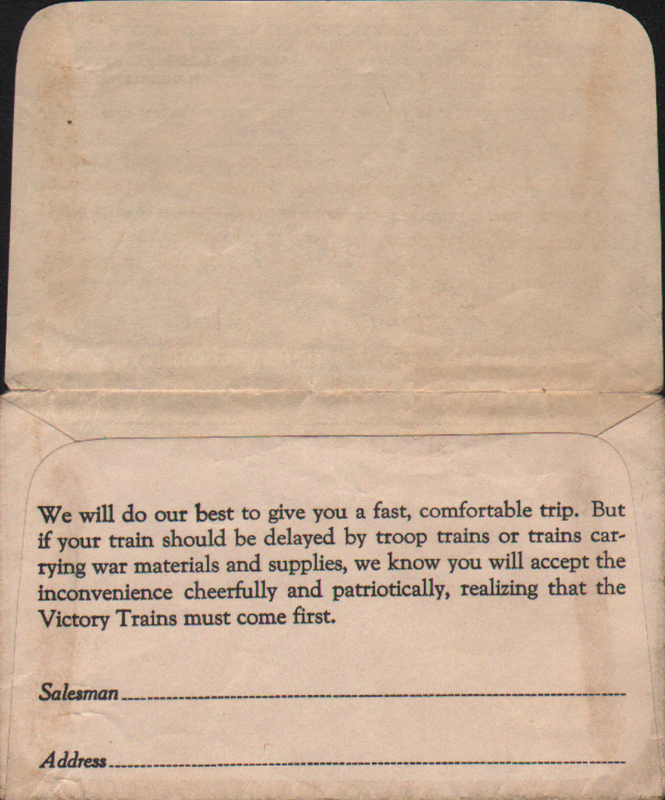 The Victory Trains are rolling! 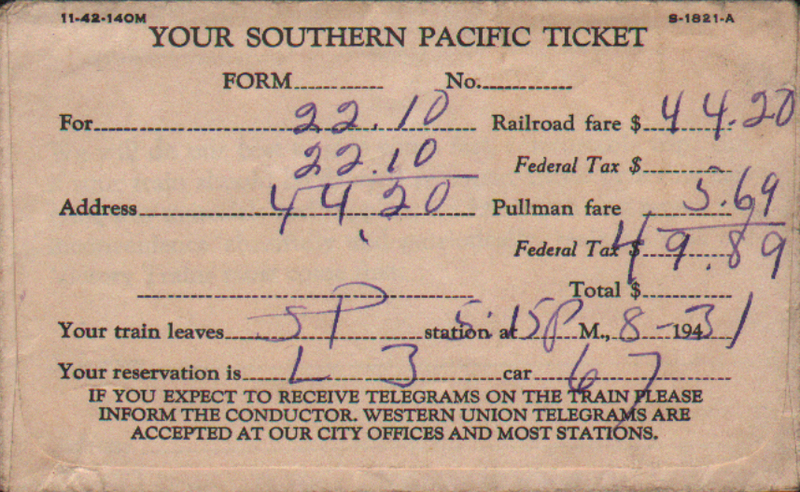 Description Southern Pacific Railroad 1942 Form S-1821-A Small WWII Ticket Envelope. 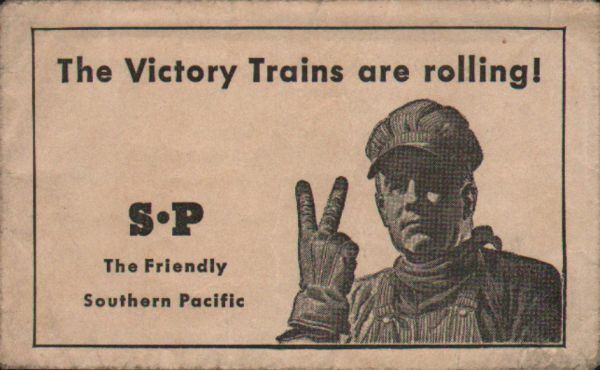 The victory Trains are rolling! SP The Friendly Southern Pacific.